A couple of weeks ago I had an issue with my iPhone and decided to log out of iCloud and then log back in. 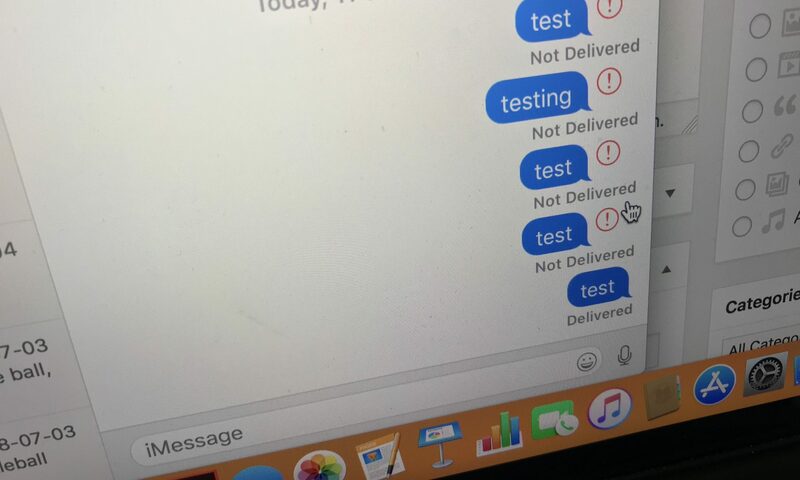 That fixed whatever problem I was having (I don’t even remember what it was) but from that point on the Messages app on my MacBook Pro stopped being able to send messages. Anytime that I would try I would just get the “Not Delivered” error message. Clicking retry didn’t help either. After some frustrating searching of old forums and searching through settings to find anything that I could turn off and turn back on, I finally decided to just log out and log back in. It fixed the problem.